Results and Recap: M-One "Team Thailand vs. Team America"
Los Angeles, CA -- Club Nokia played host to M-One's "Team Thailand vs. Team America" on Friday night. Representing the United States were Kevin Ross, Joe Schilling and Romie Adanza; the Thai team was composed of Sakkedao Petchpayathai, Kaoklai Kaennorsing and Langsuanlek Sasiprapa. It was a best of three and America had an opportunity to make a statement and that is exactly what they did. Sakkedao continued to turn up the pressure. An elbow cut Ross on the top of his head and despite showing his toughness it seemed Sakkedao was starting to take things into another gear. At the end of the third round the doctor took a look at the cut that Ross had obtained on his head and stopped the fight. Ross later stated that despite the cut not being directly over his eye it was a good stoppage because the cut was deep. With the win Sakkedao takes home the interim WBC Muay Thai world super lightweight title, the current champion is Fabio Pinca from France. Whether Sakkedao and Pinca will battle it out for the undisputed title anytime soon is any one's guess, but if it did happen the fans could expect an exciting fight. 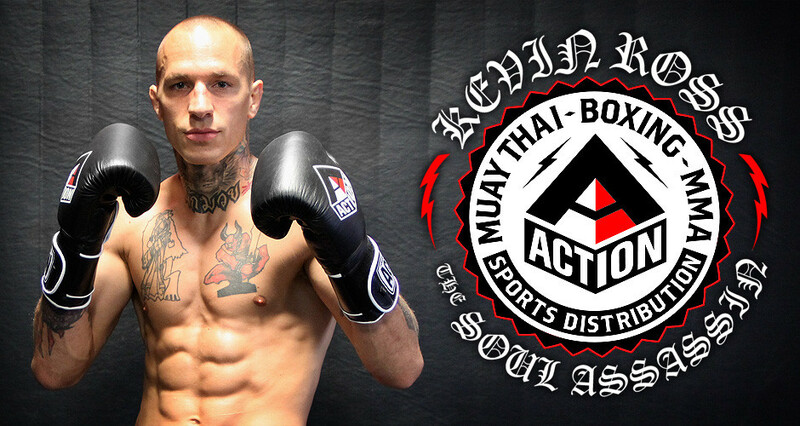 With America down 0-1, Joe Schilling and Kaoklai took to the ring. It didn't take long for the tone to be set in this fight, as soon as it started Schilling connected with a punch and knocked down Kaoklai. After Kaoklai got back up Schilling dropped him again with another punch, clearly in trouble and seeing Schilling meant business Kaoklai tried to clinch to keep him from connection with punches. The plan seemed to work at first as they jockeyed around the ring for position with Schilling eventually finding room to land some elbows and knees that busted open Kaoklai's nose. With the time winding down in the first round it seemed Kaoklai was going to be able to make it to the second round, but Joe Schilling predicted a first round knockout and Joe Schilling planned to deliver on his promise. A right from Schilling sent Kaoklai down to the canvas again and the referee had seen enough and the fight was stopped. 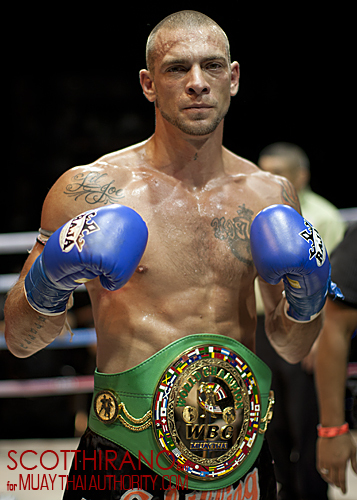 Joe Schilling defeated Kaoklai in dominating fashion to take home the interim WBC Muay Thai world light heavyweight title. The current WBC Muay Thai world light heavyweight champion is Russia's Artem Levin and although there is not set date for Schilling and Levin to fight for the undisputed WBC Muay Thai world title, it is a fight Schilling is looking forward to. With two big guys like Schilling and Levin in the ring the real winners will be the fans. Going into the third and final fight of the America vs. Thailand portion of the event, Romie Adanza and Langsuanlek Sasiprapa stepped into the ring. The pressure to pull the win out for their country was on each fighter and from the start of the fight Adanza looked sharp with his boxing. 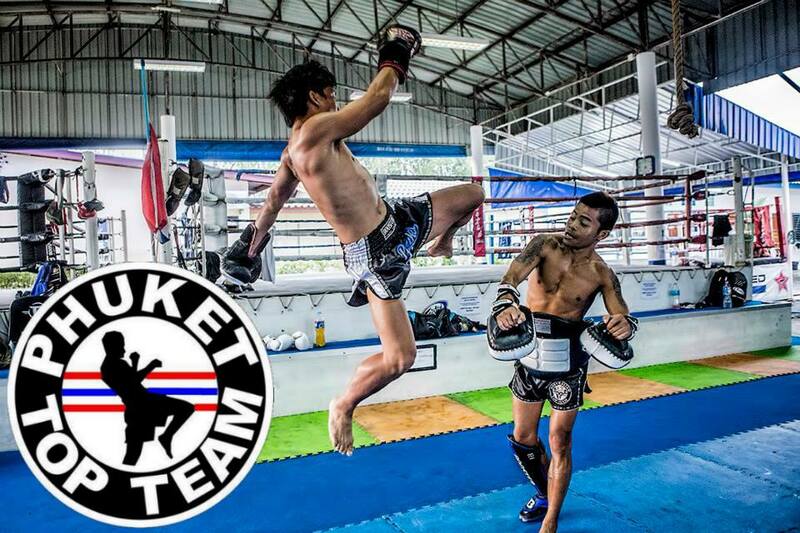 Langsuanlek used push kicks to score and eventually began to work Adanza's body with knees. It was clear Adanza's plans were to move in and land some combinations with his hands which he would then follow up with leg kicks before moving back out of Langusanlek's reach. The fight was close heading into the fourth round, but there would be no debate as to the end of this fight because Adanza brought home the win for "Team America" with a vicious uppercut that turned the lights out on Langsuanlek. The right uppercut from Adanza knocked Langsuanlek out cold and he was eventually carried out on a stretcher. With the win Adanza took home the MTAA world flyweight title and helped the United States silence some of their critics. The night's pro action began with Thailand's Rungravee Sasiprapa and Spain's Andres Martinez, both fighters came to put on a show. Rungravee is knows as a wrecking machine, but Martinez showed he was a game opponent exchanging with Rungravee on several occasions and connecting with some solid strikes on the Thai. When they would clinch Rungravee would use knees to the right thigh of Martinez and combined with some solid leg kicks from Rungravee it paid dividends. In the fourth round Rungravee landed some knees to the thigh of Martinez while they were in the clinch and Martinez went down, he got back up only to go down once again after Rungravee connected with a few more knees. to the thigh. The exciting bout came to an end in the fourth round and despite losing, Martinez showed some great skill. The night's final pro bout featured Daniel Kim and Nate Chambers, the two went toe to toe for four rounds. Chamber's was making his pro debut, but looked good. There were some good exchanges from both fighters, however, in the fourth round Chambers landed a few punches and sent Kim down for the count and took home the win in his pro debut. It was a great night for American Muay Thai as the fighters got to showcase their skills against some very talented Thai's. Many thought it would be good enough if the American's put on a good performance, but they had other plans and they took home the the win as a team by a score of 2 to 1.